Are you looking for a free .msg viewer? Or maybe a free .eml file viewer? Are you being annoyed by winmail.dat files and wish you could open them up and read what they say? Your friends at Encryptomatic LLC want to help. 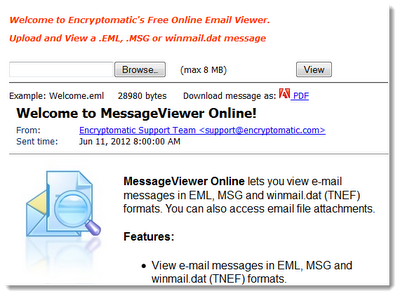 They have created MessageViewer Online, the world’s first free online .msg, .eml and winmail.dat file viewer. 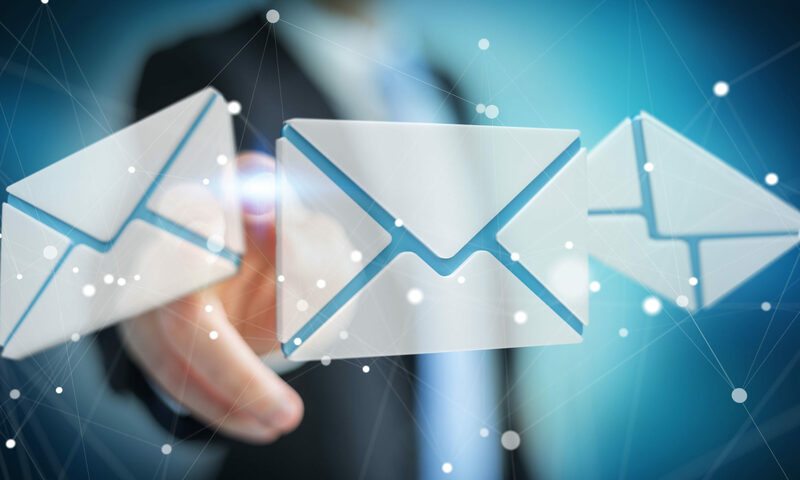 Upload your email files and the content will be decoded and displayed in your web browser. To use MessageViewer Online, click the Browse button to select your .msg or .eml file, and then click the View button. Your message is uploaded to the server where it is decoded, reassembled as a html web page, and then displayed to your screen. File attachments in the email can be downloaded by clicking on the link. Emails uploaded to MessageViewer Online are permanently deleted each day. Your messages are not available to other users of the site, and no information from the email is retained or archived. Your privacy is respected. MessageViewer Online is a free service provided by Encryptomatic LLC, a developer of email viewing software products since 2005. Their software is used by governments, Fortune 500 companies and hundreds of thousands of individual customers all over the world. engine available in their professional desktop email viewing products. MessageViewer Online is a great way to try out the email rendering capabilities of the Pst Viewer Pro email viewing software.